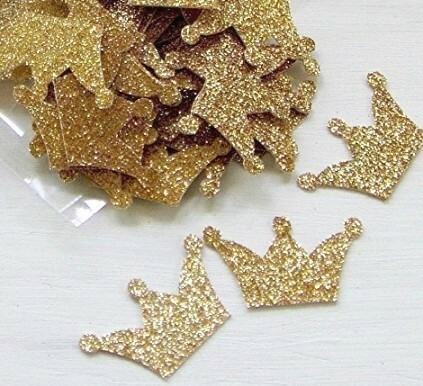 Our glittered crown-shaped confetti can be sprinkled on your dessert table, sign in table, table settings, etc. to add charm and dazzle to your event! 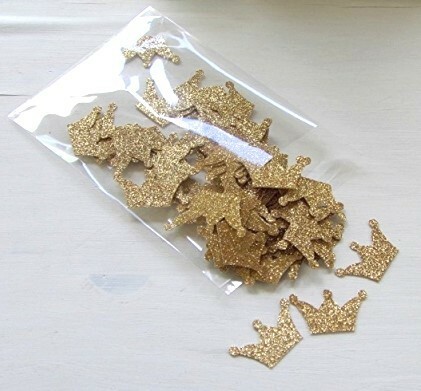 Each crown measures approx .75 x 1" and the glitter is on one side only. They are the perfect addition to your party decor. They can be sprinkled on your dessert table, sign in table, table settings, and much more!